Can you say....GOAAAAALS?!?! Cause this wedding is all of them. All of the dreamy, heart-melting, magical goals. Narrowing this blog down was quite possibly the hardest thing I did in 2017. I adore every image and moment that came from Lauren + Harrison's big day. I can't say enough about how sweet and kind Lauren + Harrison were to me through the whole process, from shooting their engagements to delivering their photos. Clients like them make me so incredibly thankful that this job allows me to meet so many amazing couples and celebrate their love in these seasons. It is an honor that I will never take for granted. On this gorgeous summer day, they vowed themselves to one another for life. The elegant florals and romantic candle lit reception were the perfect backdrops, to balance the rustic charm of Pecan Springs Ranch. 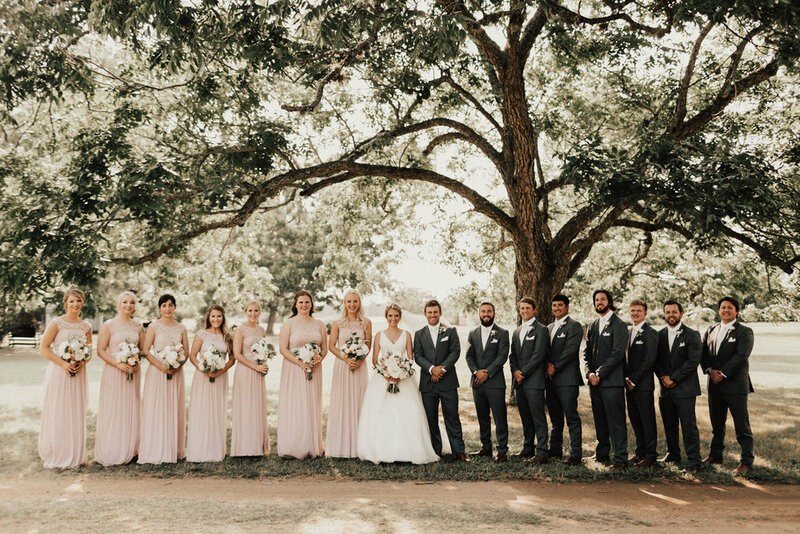 To start the day, Lauren + Harrison shared the slow getting ready hours with their friends and family, exchanging heartfelt sentiments and last moments of singleness with the people they love, until they finally got to see each other during an amazing first look. As the sun began to lower, it was time for the big moment. The vows. The ethereal, glowing scene was out of a storybook of my dreams. Their gorgeous wedding quickly became a summer garden party as kids played games in the lawn, guests mingled in the sunset, and we danced our booties off under string lights. It was the party of a lifetime! Lauren + Harrison, thank you for sharing your love with everyone around you. It is a joy to see the way you adore and care for each other and a dream come true to have been your photographer! All my love! !